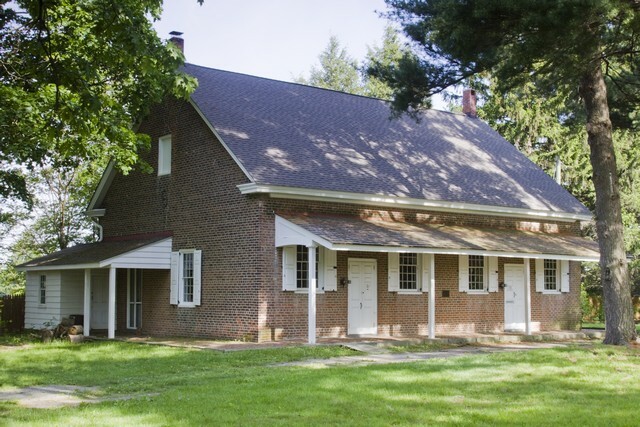 I was privileged Sunday to attend the 200th anniversary of Cropwell Friends Meeting House. My friend, Nancy, organized it with her husband, David. Her father had organized the 150th anniversary and her grandfather had organized the 100th anniversary. What a great sense of continuity. 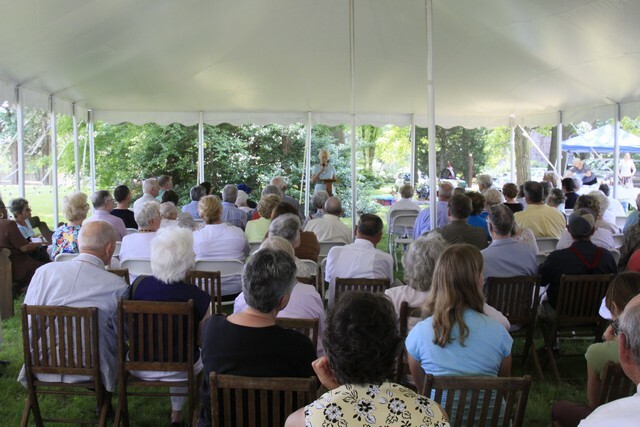 One of the principal speakers was Arthur Larrabee, General Secretary of the Philadelphia Yearly Meeting who spoke on significant events in the history of the Religious Society of Friends. 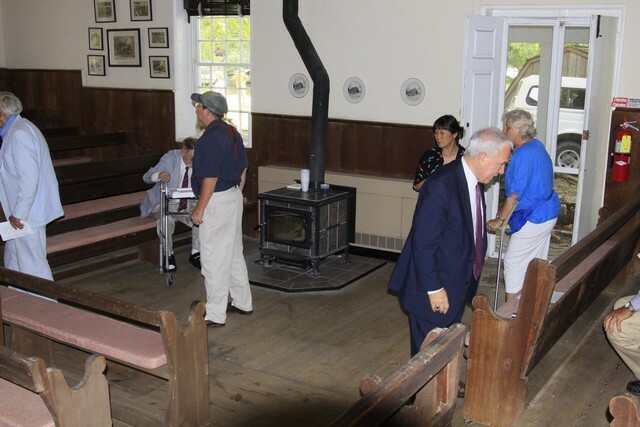 Joseph Laufer, Burlington County’s Historian, gave an excellent presentation on the Quaker meeting houses in Burlington County. There were other reports on the activities of the meetings in search of peace and in service to humanity. It was for me an uplifting afternoon in the sense of the long history of the meeting and of the good works of the Society. Here, visitors are leaving after the meeting. I was struck once when Nancy’s father , Louis Barton, said he had sat in this room and could picture six generations of his family sitting there also over the years. I know my friend, David, has risen early on many winter mornings to go build a fire in the stove for meeting. Visitors enjoyed the program after the meeting. 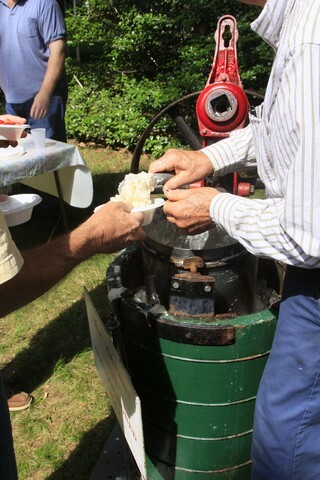 And the concluding treat, home-made ice cream churned right there with an antique gasoline-powered engine, and a bounteous supply of fresh strawberrys. 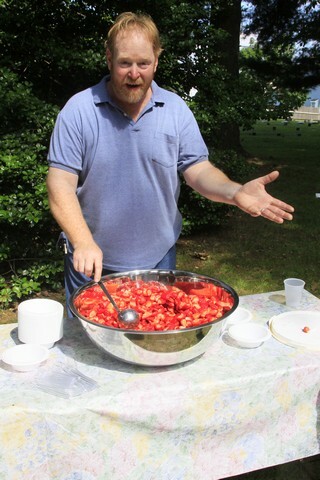 Yummy looking strawberries.. ummm I’m hungry.